Small run-of-the-river projects, we were told, would neither displace people?nor cause much ecological damage. 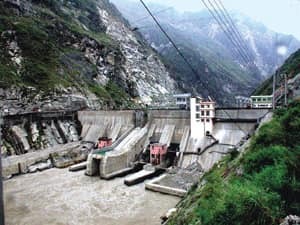 But in Himachal Pradesh, with 400 dams allotted and 600 in the offing, a recent study has revealed shocking facts. For example, once all the projects on a 70km stretch of the Ravi river are completed, 67km of the riverbed will be dry, with water flowing through concrete tunnels. The river will cease to be an ecosystem. A similar fate awaits other rivers in the state. The state high court has now stayed the construction of these dams pending an assessment. Many small dams can, it seems, be worse than one big dam.